Provide comfort for the family of Robert Pace with a meaningful gesture of sympathy. 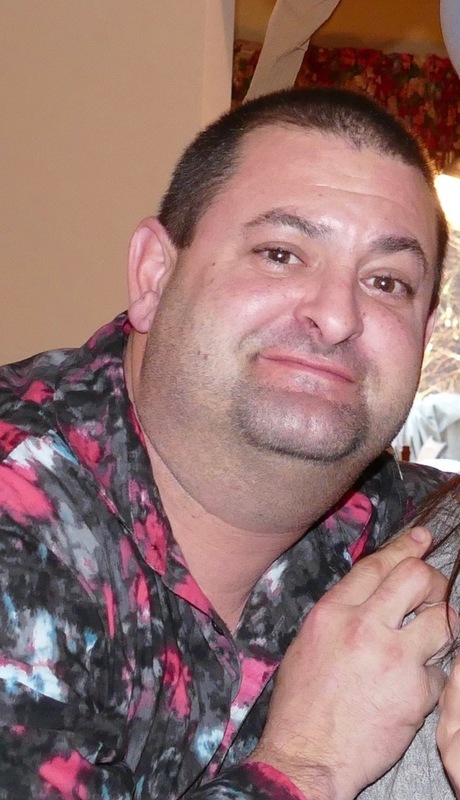 Obituary for Robert Philip Pace Jr.
Robert Philip Pace Jr., 46 of Hudson, NH died unexpectedly at Southern NH Medical Center on Monday, March 18, 2019. He was born May 10, 1972 in Arlington, MA. He later attended Burlington High School where he met his high school sweetheart Stacey (Pigott) Pace. They were later married in 1999 and recently celebrated their 20-year anniversary. They have three beautiful children who they love and adore; Bobby, Gianna, and Sal. Robert was self-employed as a general contractor and worked in NH and MA building new homes. He enjoyed boating and fishing as well as having family get togethers in his home in Hudson, but most of all he enjoyed being with his children. Besides his loving wife Stacey, survivors include his mother, Linda (Sandmann) Pace, of Stoneham, MA his father, Robert Pace Sr. and his wife Deborah, of Nashua; three children, Robert Philip Pace III, Gianna Pace and Salvatore Pace, all of Hudson; two sisters, Renee Tsoukalas and her husband George, of Windham and Deborah Fournier, of Merrimack; two brothers, Paul Caterino, of Lowell, MA and Wayne Caterino and his wife, of Kim, of Berwick, ME; maternal grandmother, Nancy Delli Colli, of Burlington, MA as well as several aunts, uncles, nieces, nephews and cousins. His fun-loving personality, laughter and smile will be missed but never forgotten. SERVICES: Visiting hours will be held Thursday from 4:00 – 7:00 pm at the Davis Funeral Home, 1 Lock St., Nashua, NH 03064. A Funeral Mass will be celebrated Friday at 10:00 am at St. Kathryn Church, 6 Dracut Rd., Hudson, NH 03051. Relatives and friends are respectfully invited to attend and may meet at the church. Burial will follow at St. Patrick Cemetery, Hudson, NH. An online guest-book is available at www.davisfuneralhomenh.com. (603) 883-3401. “ONE MEMORY LIGHTS ANOTHER”. To send flowers to the family of Robert Philip Pace Jr., please visit our Heartfelt Sympathies Store. Shawn & Stefany Nardone, Ducharme & Dillis, and others have sent flowers to the family of Robert Philip Pace Jr..
My family and I would like to express our deepest sympathy over the loss of Robert. May you find comfort in your loving memories, the warmth of family and friends and the wonderful hope found at John 5: 28 & 29. Once again, please accept our condolences. Thinking of you all at this very difficult time. Please accept our deepest condolences and prayers in your loss. Our deepest sympathy goes out to the entire family. Today and always, may loving memories bring you peace, comfort and strength.